• A young cynical journalist, after a childhood of tragedy, makes his reputation with unsympathetic no-holds-barred reporting. • A middle-aged newspaper editor who has lost something precious and doesn’t know how he’ll ever find it again. • A single mother with three kids, few options and a litter of pups she must either feed or find homes for. • A Habitat for Humanity volunteer who believes that a home is more than shelter. The characters of this story are brought together by an uncharacteristic kind deed, a challenge, and a community project. In the midst of building a Habitat for Humanity house, they discover, to their surprise, that something much stronger binds them to one another—the condition of living. How God brings people and situations together for His purpose, we can’t often comprehend, but the result is real. Habitat for Humanity is a tool used to help elevate God’s people out of terrible living conditions. When it also becomes a catalyst to create a Godly condition within a person’s heart, we can stand in awe of His grace and goodness. Through the lives of those who played a role in this story we understand that Habitat for Humanity’s mantra of strength, stability and self-reliance through shelter will continue to bind neighbor to neighbor and heart to heart. 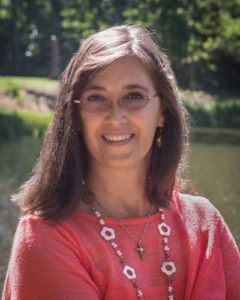 Darlene Nixon is a Christian with professional experience in the fields of banking and journalism. Before tackling the position of Executive Director for Hart County Habitat for Humanity, Nixon served the local Habitat for Humanity affiliate since 2006 as both volunteer and board member. Nixon has always shown a passion for writing, enjoying her God-given talent in numerous venues. She wrote as a news reporter for The News Leader newspaper in Royston, Georgia, as well as the Athens Daily News. Her first novel, “Singing Down the Preacher,” was published in 2011. That piece detailed the fictional version of her Melungeon ancestry from Eastern Kentucky to Southern Indiana. Additionally, she continues to share Christ’s message of love, faith and hope through the regular newsletter message for Hart Habitat. Originally from a small farming community in Southern Indiana, Nixon now resides in NE Georgia with her husband, Hubert. The couple boasts two daughters and seven grandchildren. They are active members of their Hart County Church, Serenity Baptist.